Every day, volunteers take time from their work, their leisure, and home life to volunteer their talents and energies to Huong Viet Performing Arts Group - and our volunteers make a difference! They are men and women who come from every economic group, from every race, religion, and lifestyle. They share in common their dedication and commitment to being part of the Huong Viet Performing Arts Group family. Since June 2001, together we organized over 300 events (including performances and lectures about Vietnam), of which 6 professional stage productions were well received. We also produced 3 CDs and 5 DVDs, and trained over 100 students in Vietnamese traditional music and arts. Our voices and music can be heard on Saigon Radio every Saturday from 9:30am-10am. Our scholarship foundation helped many students in Vietnam to have access to Vietnamese traditional music. 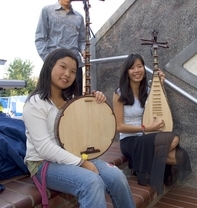 We, together, placed Vietnamese traditional music and arts on the map of the Washington State. For all these accomplishments, we have our volunteers to thanks. Volunteering at Huong Viet Performing Arts Group is rewarding! As a volunteer, you will have opportunities to meet new people, practice Vietnamese, develop new artistic skills and face exciting challenges are just part of what volunteerism is all about. 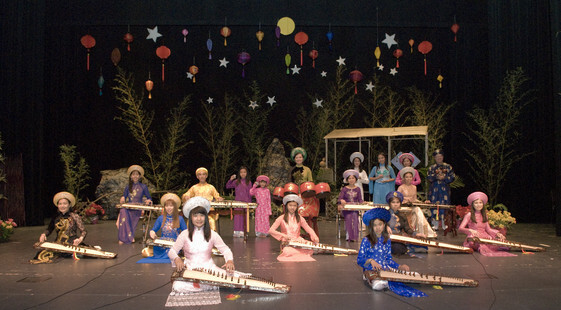 Volunteers serve Huong Viet Performing Arts Group in many areas. Matching skills, talents, and interests with these openings is of primary importance. This is accomplished during the application and interview process. A few examples of assignment opportunities are being part of our dance or music teams, taking leadership position in marketing and fundraising activities or just helping out as a member, helping us to take photo or video during performances, or as our driver. Other include decorating stages, helping with sound system, preparing meals and costume for children, etc. There is no small tasks, in fact, all helps are appreciated by Huong Viet Performing Arts Group. There is NO requirement to join Huong Viet Performing Arts Group as a volunteer. 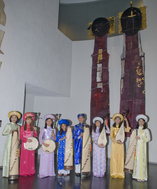 Becoming a Huong Viet volunteer means working to achieve Huong Viet Performing Arts Group's goals and mission of promoting and popularizing Vietnamese traditional music and arts. Our volunteers are people who freely and responsibly give of their time and talents to help others - and are people who believe that VOLUNTEERS CAN MAKE A DIFFERENCE!